Feeling a little disconnected? Relax whilst I tune into your chakras and get you back on track. 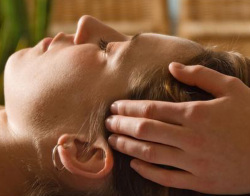 "Reiki is performed on a comfortable bed whist fully clothed in a relaxing environment to calming music. All sessions are performed in The Reiki Room, Ibiza Reiki, San Juan, Ibiza, or we also offer home/hotel/boat visits (at extra cost). We offer treatments & packages to suit your individual needs, contact us with any questions or requests." Feel like you need the ultimate energy boost? Does you body & mind crave balancing, grounding, relaxing & de-stressing? 90 minutes of Chakra Balanicing and Chakra Reading and Transformational Coaching, followed by a 30 minute Reiki session. Wake up to the truth of who you really are! Do you want to transform yourself, develop and grow into the real you? Available face2face or worldwide via Skype. 10 hrs - £700 Find out more here. For those that feel email coaching would be the perfect option... need a helping hand and some support to make changes in your life? Email coaching provides all the wonders of Transformational coaching via the convenience of email... you choose when to respond, no time constraints.